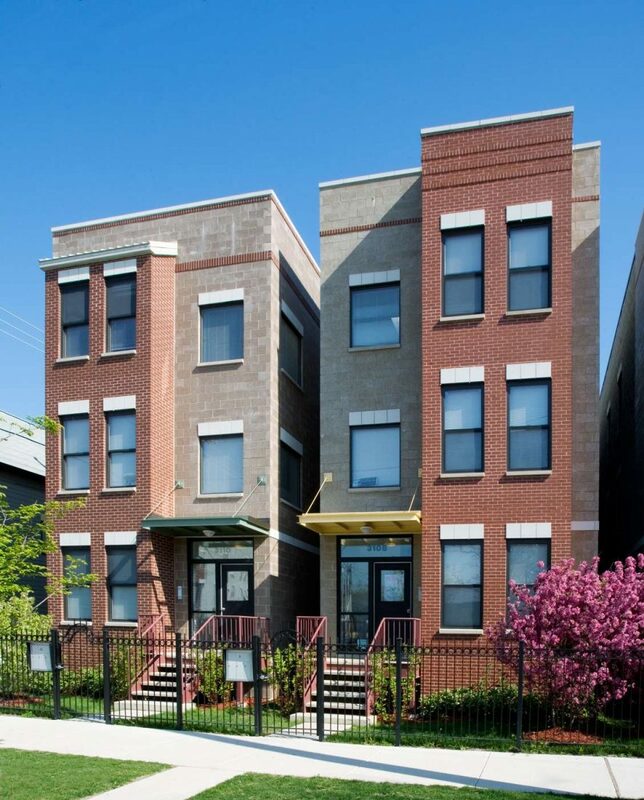 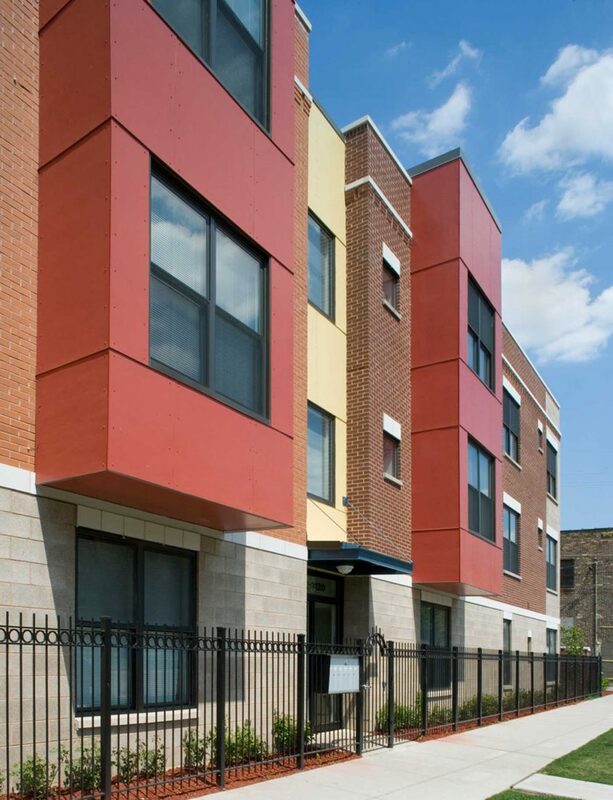 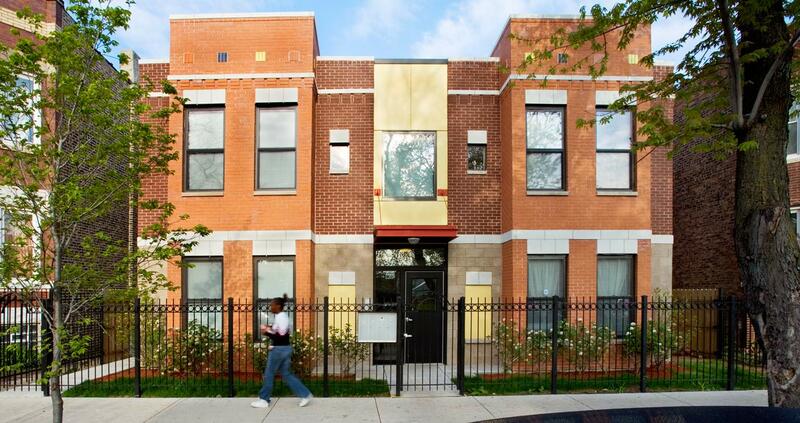 LBBA has worked with Bickerdike Redevelopment Corporation for over 25 years on a variety of rehab and new subsidized, affordable and home ownership programs in the Near West side of Chicago. 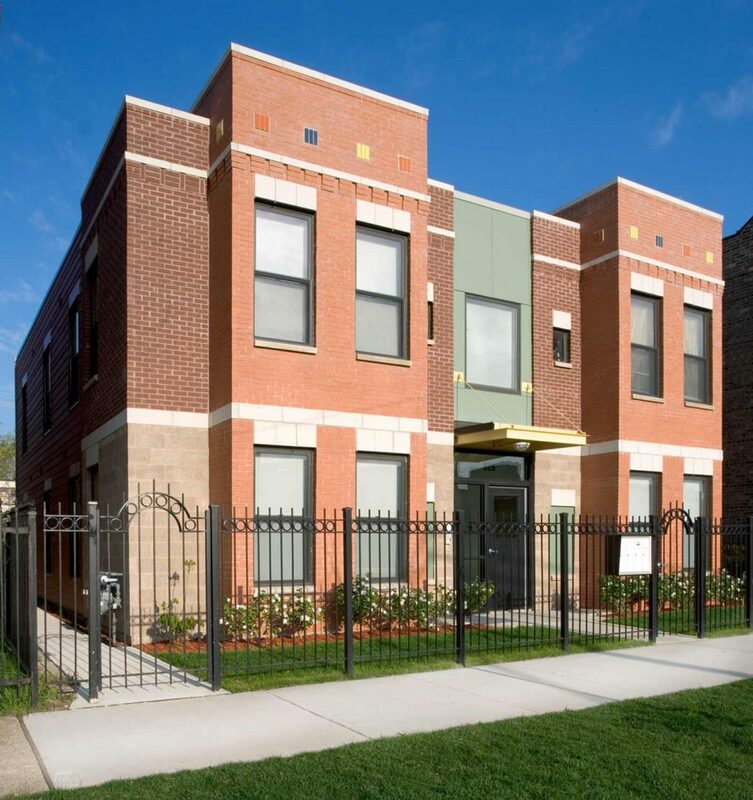 The Harold Washington Unity CO-OP (HWUC) is a tax credit co-op that aims to create affordable homeownership opportunities through a delayed coop-conversion. 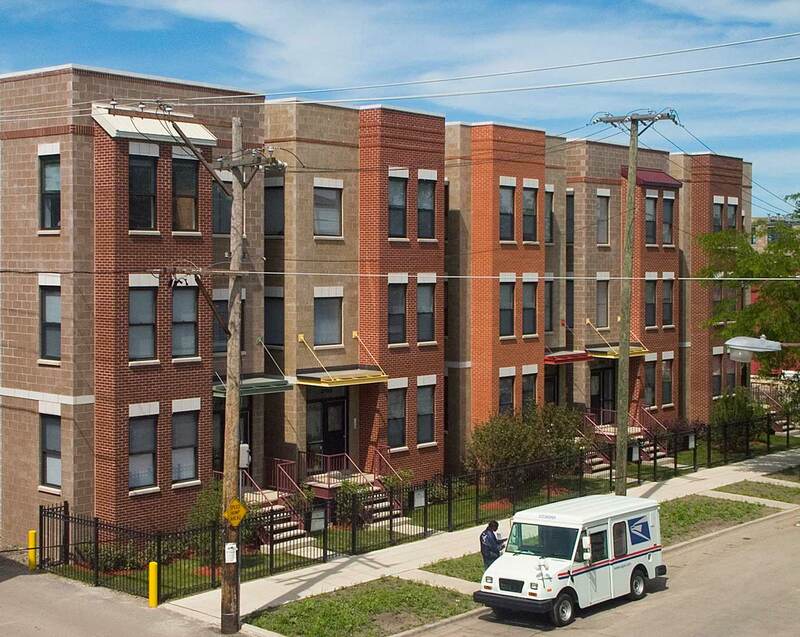 The developer, Bickerdike Redevelopment Corporation, co-signed the properties to be used as rental units; after fifteen years the units will be turned into a co-op allowing residents the opportunity to own their own home in the community. 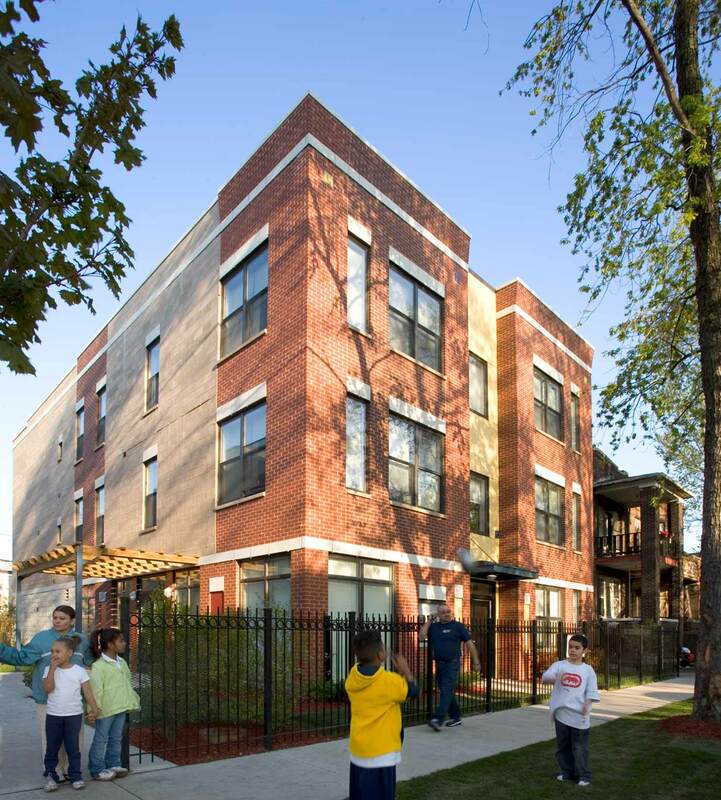 It took more than 10 years to find a location that properly strattled the gentrification from the east and the tough neighborhoods of the west side of Chicago. 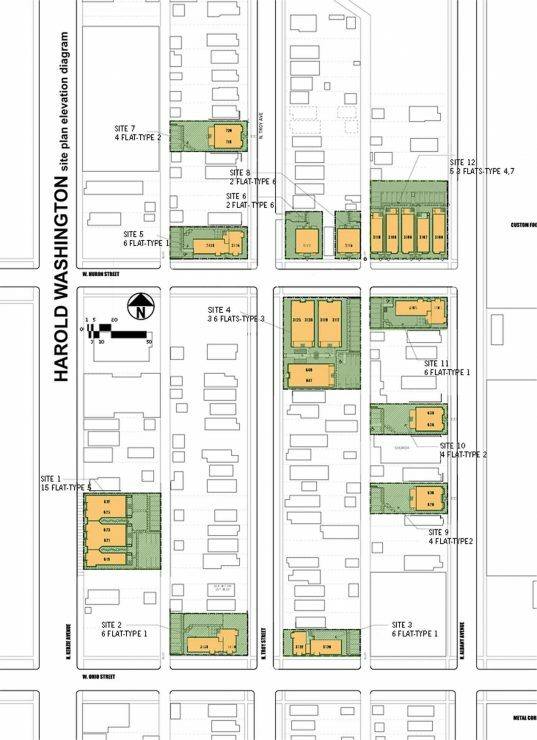 The development, bounded by Kedzie Avenue, Chicago Avenue, Albany Avenue and Ohio Street, consists of 18 buildings on 12 sites. 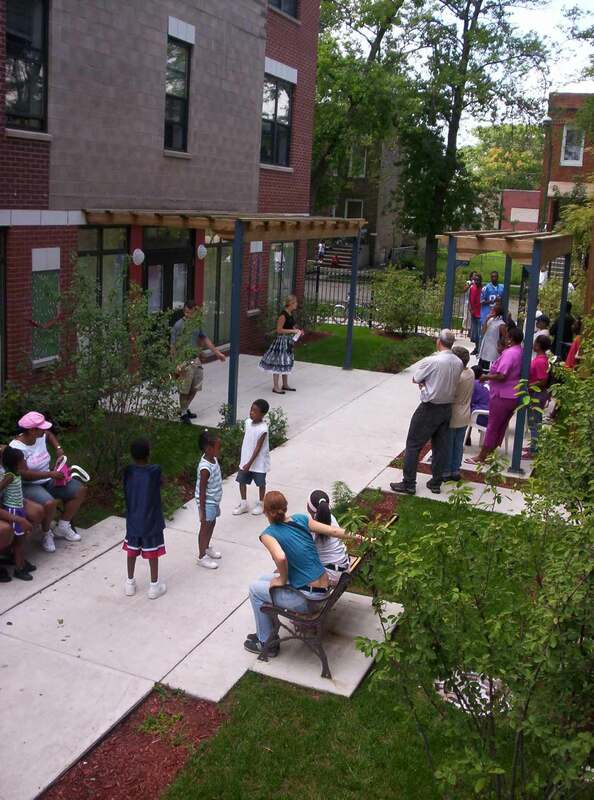 There are 7 building types of either 2 or 3 stories and a total of 87 new residential units, a community room and community garden. 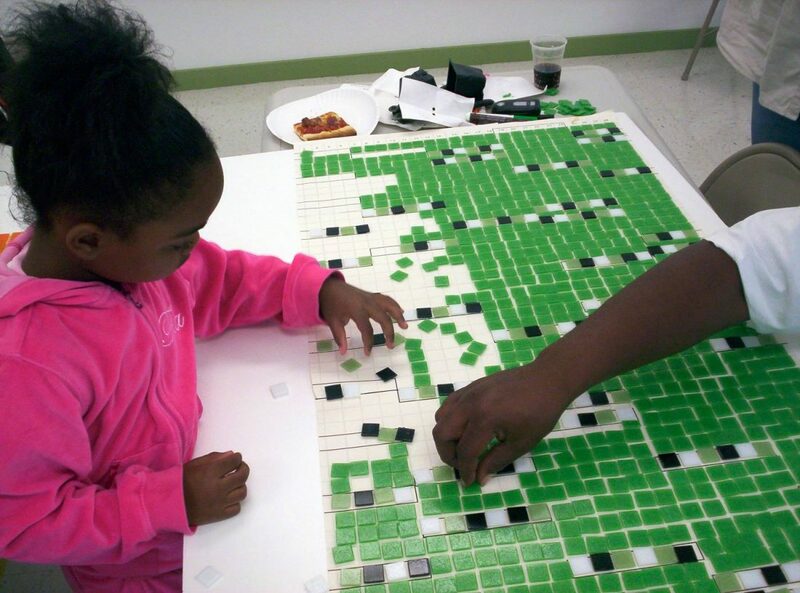 The community worked closely with archi-treasures to create colorful mosaics on the front facades of many of the buildings. 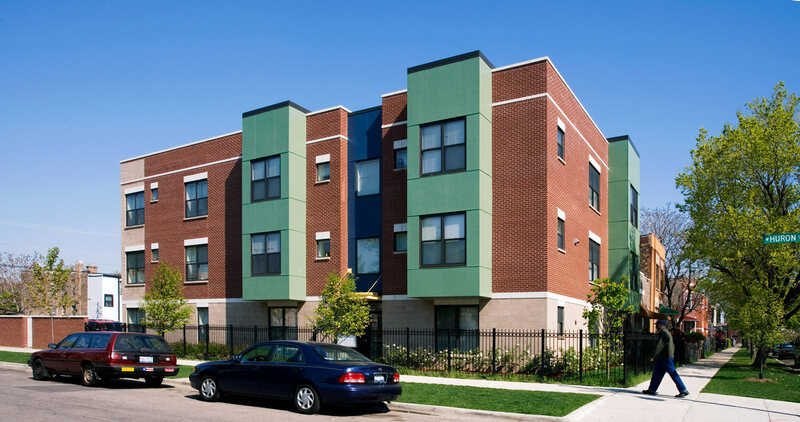 The project is a state of the art Energy Star development that attempts to bring a clean contemporary aesthetic that blends seamlessly with the existing contextual neighborhood by using clean lines, color and a direct connection to the sidewalk and street. This is an “eyes on” rather than a defensive posture for a new development and after just a few years the new community that has evolved within the HWUC has reduced gang activity and made a new community that both renters and homeowners are proud to be a part of.